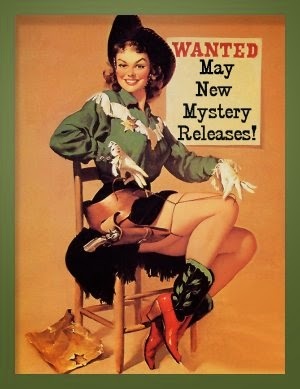 May 2015 New Mystery Releases! It's the time of year when I try to get all the housecleaning and reorganizing done so I can ignore it during the summer. (Domestic goddess I'm not.) I have to keep plenty of oranges in stock so all the baby birds will be well fed, and I have to trim a few shrubs as well. But that doesn't mean that I forget to look for new and interesting books to read each month. Got to keep that wish list updated, don't you know! 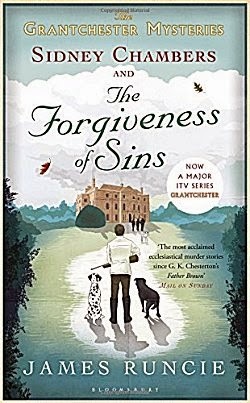 Here are my picks of the new crime fiction being released in May. They're sorted by release date, and I've included all the information you'll need to find them at all your favorite "book procurement" sites. Book synopses are courtesy of Amazon. Happy Reading! Synopsis: "A group of old university friends leave the bright lights of London and travel to Shetland to celebrate the marriage of one of their friends. But, one of them, Eleanor, disappears--apparently into thin air. It's mid-summer, a time of light nights and unexpected mists. And then Eleanor's body is discovered lying in a small loch close to the cliff edge. Detectives Jimmy Perez and Willow Reeves are dispatched to investigate. Before she went missing, Eleanor claimed to have seen the ghost of a local child who drowned in the 1920s. Her interest in the ghost had seemed unhealthy--obsessive, even--to her friends: an indication of a troubled mind. But Jimmy and Willow are convinced that there is more to Eleanor's death than they first thought. Is there a secret that lies behind the myth? One so shocking that someone would kill--many years later--to protect?" Synopsis: "Doing a good deed for a relative offers the perfect opportunity for Sergeant Jim Chee and his wife, Officer Bernie Manuelito, to get away from the daily grind of police work. But two cases will call them back from their short vacation and separate them—one near Shiprock, and the other at iconic Monument Valley. Under the guidance of their mentor, retired Lieutenant Joe Leaphorn, Bernie and Chee will navigate unexpected obstacles and confront the greatest challenge yet to their skills, commitment, and courage." 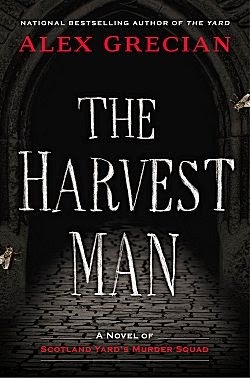 Synopsis: "When the body of a transport minister is discovered in the grounds on Honeychurch Hall, suspicion about his unusual demise naturally falls on the folks in the village. After all, who could possibly want a high-speed train line built in their front yard? Synopsis: "1964—Life on the North Dakota farm hasn’t always been easy for Marjorie Trumaine. She has begun working as a professional indexer to help with the bills—which have only gotten worse since the accident that left her husband, Hank, blind and paralyzed. When her nearest neighbors are murdered in their beds, though, Marjorie suddenly has to deal with new and terrifying problems. Sheriff Hilo Jenkins brings her a strange amulet, found clutched in the hand of her murdered neighbor, and asks her to quietly find out what it is. Marjorie uses all the skills she has developed as an indexer to research the amulet and look into the murders, but as she closes in on the killer, and people around her continue to die, she realizes that the murderer is also closing in on her." 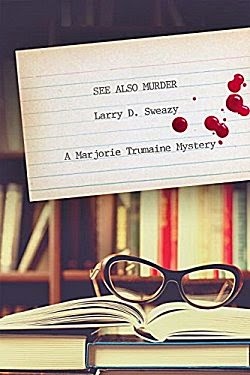 Synopsis: "The loveable full-time priest and part-time detective, Canon Sidney Chambers, continues his sleuthing adventures in 1960's Cambridge. On a snowy Thursday morning in Lent 1964, a stranger seeks sanctuary in Grantchester's church, convinced he has murdered his wife. 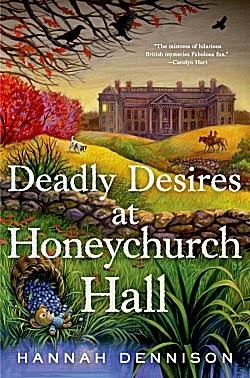 Sidney and his wife Hildegard go for a shooting weekend in the country and find their hostess has a sinister burn on her neck. Sidney's friend Amanda receives poison pen letters when at last she appears to be approaching matrimony. A firm of removal men 'accidentally' drop a Steinway piano on a musician's head outside a Cambridge college. During a cricket match, a group of schoolboys blow up their school Science Block. And on a family holiday in Florence, Sidney is accused of the theft of a priceless painting. Meanwhile, on the home front, Sidney's new curate Malcolm seems set to become rather irritatingly popular with the parish; his baby girl Anna learns to walk and talk; Hildegard longs to get an au pair and Sidney is offered a promotion. Entertaining, suspenseful, thoughtful, moving and deeply humane, these six new stories are bound to delight the clerical detective's many fans." 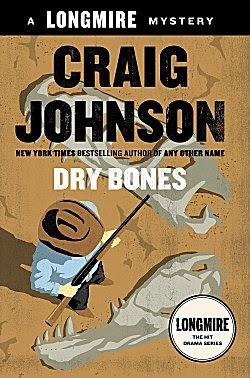 Synopsis: "When Jen, the largest, most complete Tyrannosaurus rex skeleton ever found surfaces in Sherriff Walt Longmire’s jurisdiction, it appears to be a windfall for the High Plains Dinosaur Museum—until Danny Lone Elk, the Cheyenne rancher on whose property the remains were discovered, turns up dead, floating face down in a turtle pond. With millions of dollars at stake, a number of groups step forward to claim her, including Danny’s family, the tribe, and the federal government. As Wyoming’s Acting Deputy Attorney and a cadre of FBI officers descend on the town, Walt is determined to find out who would benefit from Danny’s death, enlisting old friends Lucian Connolly and Omar Rhoades, along with Dog and best friend Henry Standing Bear, to trawl the vast Lone Elk ranch looking for answers to a sixty-five million year old cold case that’s heating up fast." Synopsis: "Cyrus Barker is undoubtedly England's premiere private enquiry agent. With the help of his assistant Thomas Llewelyn, he's developed an enviable reputation for discreetly solving some of the toughest, most consequential cases in recent history. But one evening in 1888, Robert Anderson, the head of Scotland Yard's Criminal Investigation Department (CID), appears at Barker's office with an offer. A series of murders in the Whitechapel area of London are turning the city upside down, with tremendous pressure being brought to bear on Scotland Yard and the government itself. Barker is to be named temporary envoy to the Royal Family with regard to the case while surreptitiously bringing his investigative skill to the case. With various elements of society, high and low, bringing their own agenda to increasingly shocking murders, Barker and Llewellyn must find and hunt down the century's most notorious killer. The Whitechapel Killer has managed to elude the finest minds of Scotland Yard--and beyond--he's never faced a mind as nimble and a man as skilled as Cyrus Barker. But even Barker's prodigious skills may not be enough to track down a killer in time." Synopsis: "Norfolk is suffering from record summer heat when a construction crew unearths a macabre discovery—a downed World War II plane with the pilot still inside. Forensic archaeologist Ruth Galloway quickly realizes that the skeleton couldn’t possibly be the pilot, and DNA tests identify the man as Fred Blackstock, a local aristocrat who had been reported dead at sea. When the remaining members of the Blackstock family learn about the discovery, they seem strangely frightened by the news. Events are further complicated by a TV company that wants to make a film about Norfolk’s deserted air force bases, the so-called Ghost Fields, which have been partially converted into a pig farm run by one of the younger Blackstocks. As production begins, Ruth notices a mysterious man lurking on the outskirts of Fred Blackstock’s memorial service. Then human bones are found on the family’s pig farm. Can the team outrace a looming flood to find a killer?" 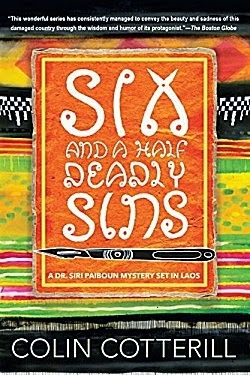 Synopsis: "Laos, 1979: Dr. Siri Paiboun, the twice retired ex-National Coroner of Laos, receives an unmarked package in the mail. Inside is a handwoven pha sin, a colorful traditional skirt worn in northern Laos. A lovely present, but who sent it to him, and why? And, more importantly, why is there a severed human finger stitched into the sin’s lining? Siri is convinced someone is trying to send him a message and won’t let the matter rest until he’s figured it out. He finagles a trip up north to the province where the sin was made, not realizing he is embarking on a deadly scavenger hunt. Meanwhile, the northern Lao border is about to erupt into violence—and Dr. Siri and his entourage are walking right into the heart of the conflict." Synopsis: "It’s the time of the Great Dionysia, the largest arts festival of the ancient world, held each year in honor of Dionysos, the god of wine. But there’s a problem: A ghost is haunting Athens’s grand theater. 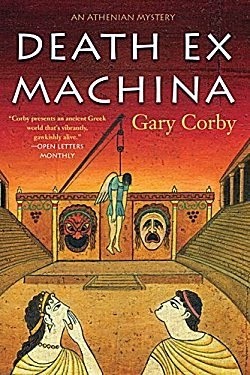 Their efforts to protect the theater fall short when one of the actors is found hanged from the machine used to carry actors through the air when they play the part of gods. It’s quite a theatrical murder. As Nico and Diotima dig into the actor’s past, they discover all was not as it seemed. There are enough suspects to fill a theater. As the festival approaches and pressure mounts on all sides, can they hunt down the killer in time? Or will they simply have to hope for a deus ex machina?" When another child goes missing, and then a third, it's no longer possible to believe that their deaths were accidental, and the villagers must admit that there is a murderer among them. Even Catrin Quinn, a damaged woman living a reclusive life after the accidental deaths of her own two sons a few years ago, gets involved in the searches and the speculation. But three islanders--Catrin, her childhood best friend, Rachel, and her ex-lover Callum--are hiding terrible secrets. And they have two things in common: all three of them are grieving, and none of them trust anyone, not even themselves." 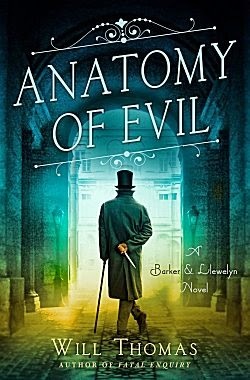 Synopsis: "In The Devil’s Workshop, London discovered that Jack the Ripper was back, sending the city—and Scotland Yard’s Murder Squad—into chaos. But now it is even worse. Not only is the Ripper still at large, but so is another killer just as bad. Of course, the Ripper’s been playing a game with him—with Walter Day, as well. He is pushing both of them to their limits, and what happens when they get there . . . no one can say." Synopsis: "On the day after a massive blizzard, two policemen are called to an isolated farm house sitting all by itself in the middle of a pristine snow-blanketed field. Inside the lonely abode are two dead people. But there are no tracks in the snow leading either to the house or away. What happened here? Is this a murder/suicide case? Or will it turn into something much more sinister? 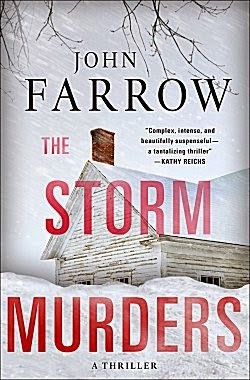 John Farrow is the pen name of Trevor Ferguson, a Canadian writer who has been named Canada's best novelist in both Books in Canada and the Toronto Star. This is the first of a trilogy he is writing for us called The Storm Murders trilogy. Each book features Emile Cinq-Mars, the Hercule Poirot of Canada, and extreme weather conditions." Wow! Another May is another month with an embarrassment of riches, isn't it? Elly Griffiths. Craig Johnson. Colin Cotterill. 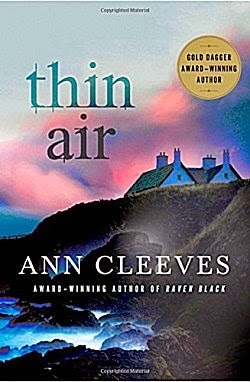 Ann Cleeves. Four of my Auto-Buy authors followed by other personal favorites! Hmm... perhaps I should stay away from The Poisoned Pen for a while. What do you think? And what do you think about my picks for May? Which titles have you thinking about hiding your credit cards? Inquiring minds would love to know! I couldn't wait for the Elly Griffiths so I ordered it from England and it was so good. I've done that with Harry Bingham's books, but I usually don't have to bother because The Poisoned Pen does an excellent job of stocking the UK books that I love to read. As a matter of fact, Denis and I are going there tonight, but most of these books should not be available. Maybe that will help, she says hopefully. Aaaugh! More good books. 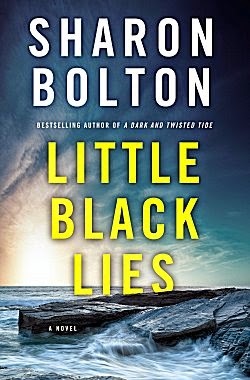 I am being disciplined and only adding the new Griffiths to the TBR list, but I'm sure I'll read more of them, including the Bolton. But one thing grabs my attention. 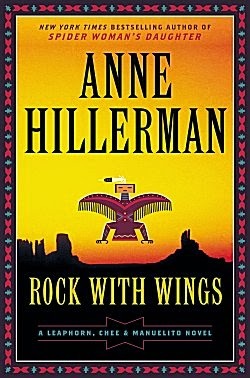 Since you have been posting about covers, I noticed them at once and some are wonderful, such as the Cleeves and Hillerman. The Johnson is a good one, and some others are well-designed and eye-catching. Now, my question is when will the library get in the Griffiths and Bolton? I could not believe my good fortune this evening at The Poisoned Pen. 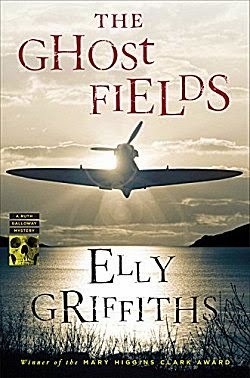 I wound up with an ARC of THE GHOST FIELDS. If the bookstore hadn't been so crowded, I might have broken into my happy dance right then and there! Yes, a happy dance! I'll do one at the library when I get this book.